Get inspired by 19th century gown embellishments with author and costume historian Astrida Schaeffer. Learn how the Victorians thought about design, and make a sampler of the piping, cording, pleating, ribbon work, applique and self-trim techniques that made their clothes fabulous. 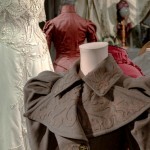 The class includes a visual tour of Victorian gowns, handouts, and hands-on instruction. Fee: 90, pre registration required. 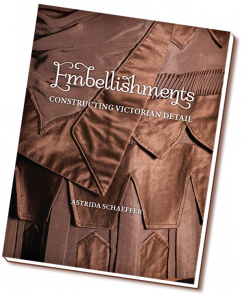 Held in conjunction with Embellishments: Constructing Victorian Detail on view June 19-November 6, 2015. Go to http://www.portsmouthathenaeum.org for directions. 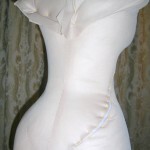 Need a custom mannequin? We can create one for you. The cost can vary, depending on each specific garment, but in general a mannequin costs about $800-$1200, including materials. See our Mannequin FAQ for more information, and contact us for an estimate for your project.